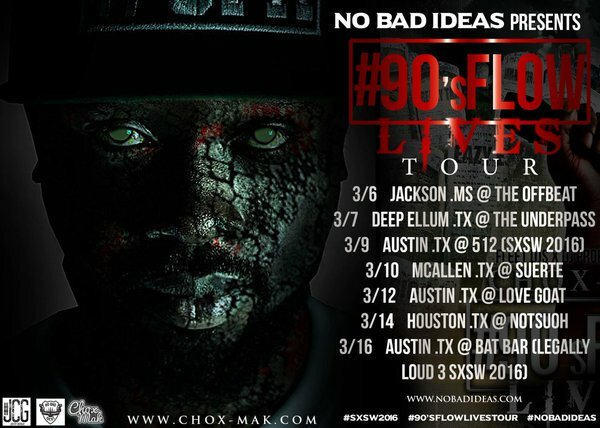 On behalf of No Bad Ideas, The 90's Flow Lives Tour is back in effect for March 2016 right in time for South by Southwest. Here's 7 dates to look forward to. What date will you make? Follow Mak on Twitter for even more info and exclusive pix and vids as the tour comes into play.